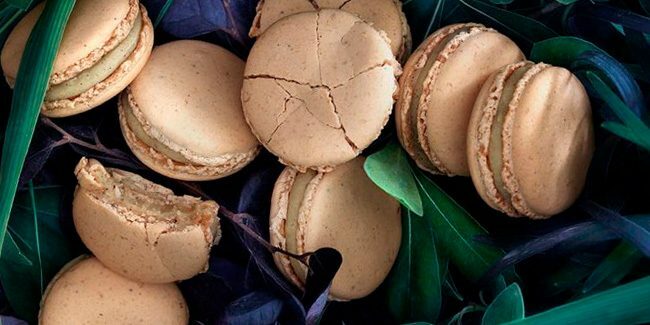 Every March 20, Relais Desserts demonstrates its solidarity with the celebration of Le Jour du Macaron. 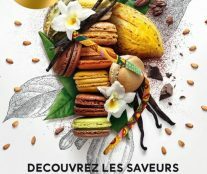 An event invented by Pierre Hermé in 2005 with the purpose of celebrating spring by offering macarons and donating the benefits to a charitable organization. 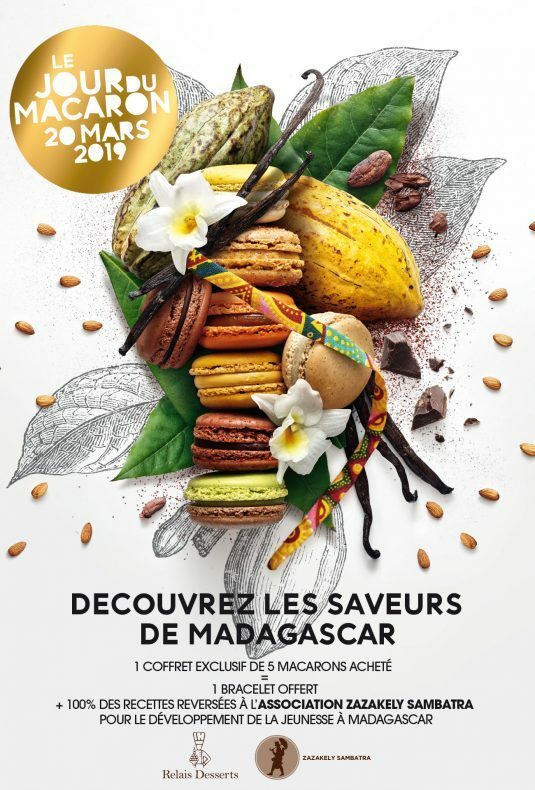 In its 14th edition, users will be able to get an exclusive box of five macarons and a bracelet from the Madagascan stylist Sih Rakout in exchange for a donation. 100% of the proceeds will go to Zazakely Sambatra, an association chaired by Stéphane de Bourgies who works with Madagascan youth. 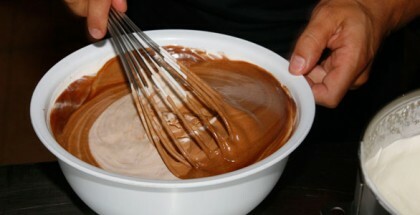 As usual, pastry chefs will take advantage of this day to explore the limits of their creativity. 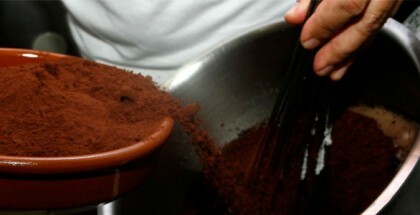 To give some examples, Hermé has created the macarons Infiniment Vanille de Madagascar and Infiniment Chocolat de Madagascar with a chocolate ganache; Jeff Oberweis has been inspired by the flavors of the territory (vanilla, spices, distinguished chocolates and exotic fruit), and Jean-Paul Hévin will honor the cocoa producers with a macaron made of two chocolate-colored almond cookies and a Madagascar grand- Cru beans ganache. Almost 50 maisons in France will be participating in the initiative and some abroad.